NI is helping wireless test engineers stay abreast of changes to the IEEE 802.11 standard with its latest WLAN Measurement Suite. National Instruments (NI) has announced an early access version of the WLAN Measurement Suite with support for the IEEE 802.11ax (draft 0.1) high-efficiency wireless draft standard. The WLAN Measurement Suite, combined with NI’s RF vector signal transceiver (VST), empowers engineers to measure the performance of their 802.11ax designs confidently in the presence of significant new changes to the 802.11 physical layer specification. 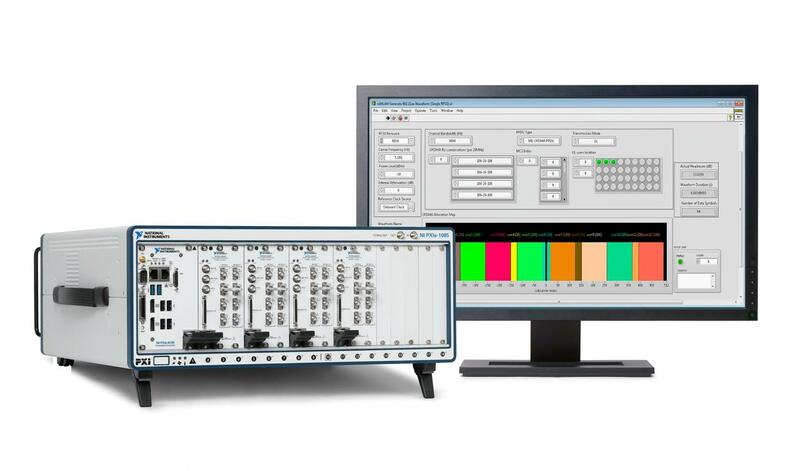 The WLAN Measurement Suite gives researchers, engineers and technologists the power and flexibility to generate and analyse a wide range of 802.11 waveforms, such as 802.11a/b/g/n/j/p/ac/ah/af. Now, with the measurement suite’s latest update targeting 802.11ax, these users can speed up development work on 802.11ax devices. The software supports key features of 802.11ax including narrower subcarrier spacing, 1024-QAM and multi-user orthogonal frequency division multiple access (OFDMA). The updated measurement suite also includes LabVIEW system design software example code to help engineers automate WLAN measurements quickly and easily. NI’s platform-based approach helps ensure that engineers can update their existing PXI RF test systems to support 802.11ax device testing with a simple software update, and continue to do so as the 802.11ax standardisation process evolves. Engineers can take advantage of this smarter approach to RF test to help lower their cost of test and better prepare for future connectivity and cellular standardisation initiatives, such as 5G.